The Fuel Pureformance Push Up Handles can be utilized to target your chest, shoulders and back muscles. Optimizes chest and triceps development while minimizing hand, wrist, and elbow stress. The ergonomic handles provide less stress on your wrists. 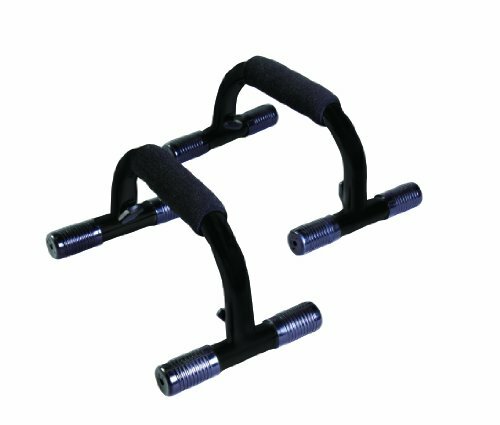 Features heavy duty steel construction, foam covered handgrips and non-slip plastic end-cap protectors. The elevated position allows for greater range of motion. Light weight for easy transport and storage.